Eight students in our NFTE/Corporate Experience class participated in a fast pitch competition, with $50 prizes for both the Judges’ Choice Award and People’s Choice Award. Congratulations to our winner Aaron Trinidad ’20! During the competition, students are given one minute to pitch their business concepts to a panel of judges. The panel includes leaders in technology and business, as well as communication specialists. At the same time, audience members are invited to vote for their favorite pitches. The awards can be given to two separate students, or the same student can win both awards, as we saw this year! Aaron’s idea is to create an app that connects non-profit organizations with potential volunteers, through technology that allows users to swipe left or right to sort through potential matches. His platform will take that connection a step further, by working to create community amongst the volunteers as well as with the organizations, ensuring the volunteer experience is fulfilling and helping to turn it into a regular commitment. 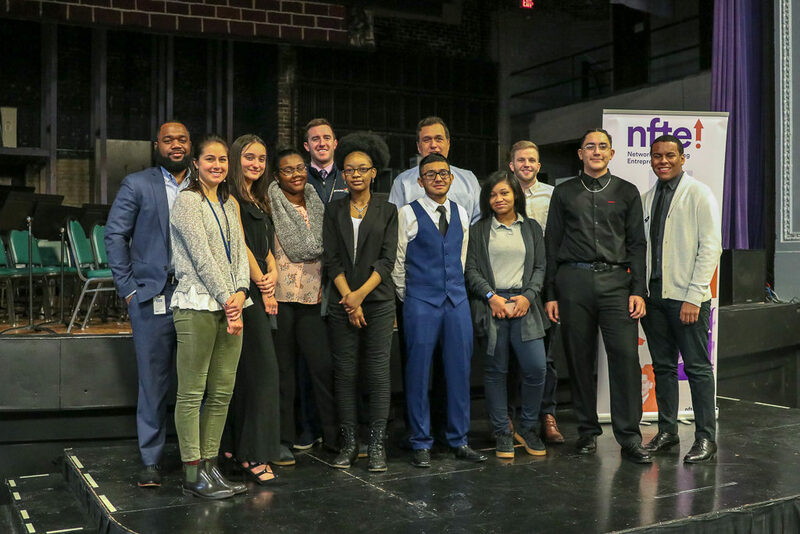 The top two finalists will advance to NFTE Chicago Metro’s semifinal competition held in May 2019. Special thanks to the Network for Teaching Entrepreneurship (NFTE) and our guest judges!